Craig was appointed Nordic's first Girls Program Director in July 2018. Prior to this appointment, Stone taught in a variety of schools in the greater Burlington area, was Fall Program Director at Capital Soccer, and prior to moving to Vermont was an online editor for a national news organization based in Wash DC. As well as various coaching licensure, Stone has a Master of Arts in Teaching (M.A.T) from the University of Vermont's graduate teaching program. 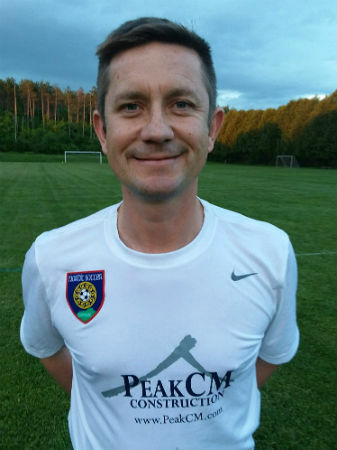 His playing/coaching experience includes D1 player at University of Evansville, 1st team coach Cambridge United FC Women (England), Region 1 '04 Boys Coach, VT U12 Academy Director and Nordic Senior Staff coach. Fun fact about Craig - he has walked across England, from east to west, 3 times and has also climbed Mt Kilimanjaro. National Soccer Coaches Association of America - Premier, Advanced National and National licenses.